Who needs it to be Valentines Day to do a cheesy romantic gesture? These are always much more fun every other day of the year. 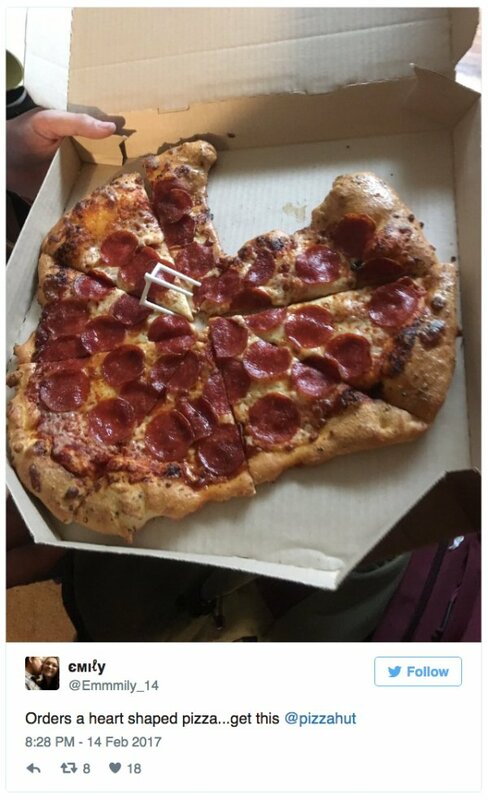 Around Valentines Day this year all of my usual amusing picture websites were flooded with images of terribly constructed heat shaped pizzas which people ordered for home delivery on V Day. 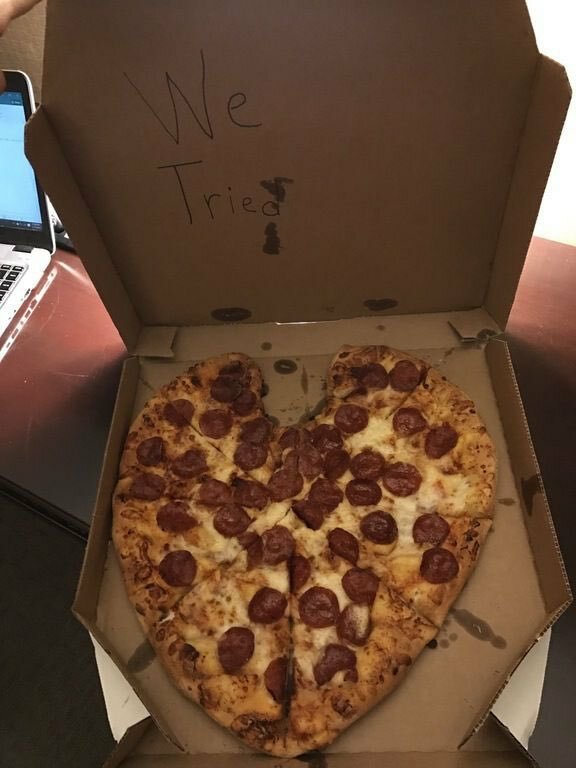 We all know that V Day is a completely commercialised venture, and it would seem that a variety of (primarily American) franchise pizza establishments required their franchises to create something “romantic” with very limited training. This did not work. We can do better. Less convinced of the effort here. Looks like the staff got to eat a slice for good measure! 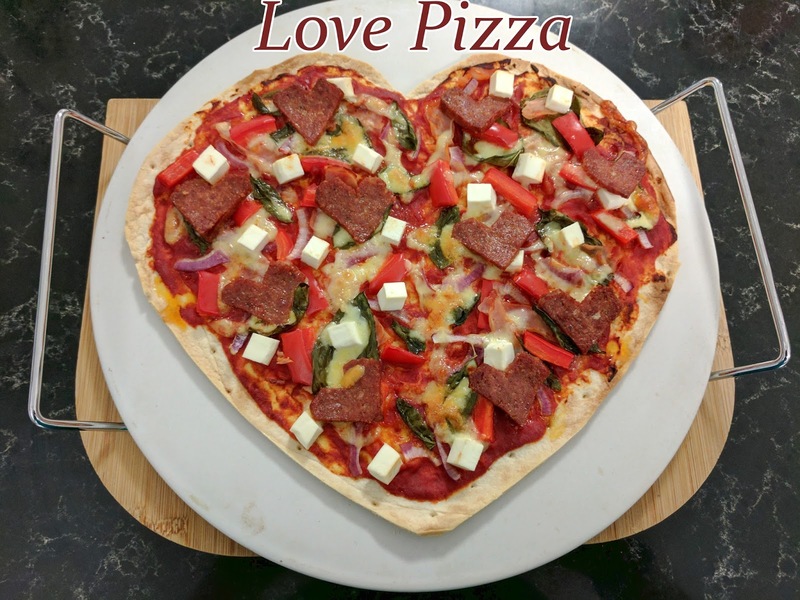 This left me wanting to find a fool proof way to make a decent love pizza to share for giggles with your partner on any day you would like to feel special and fun. I hope you enjoy this. Play some cheesy music and pour a glass of wine to set the mood. Feel free to add some bad dancing to this process. Preheat your oven to 180 degrees C / 356 F. I like to use a pizza stone, so if you are doing so, preheat it in the heating oven. Using a pair of kitchen scissors, cut a small V into the top centre of your pizza base, then round out the corners. Next, cut diagonal lines on the bottom left and right of the base to finish the heart, and round it out nicely. Step back and admire your handiwork. Sip. Next, do the same to your salami slices. I recommend stacking them into two piles to chop a few at once to speed things up. Arrange all of the toppings on your pizza, making sure your heart shaped salami are visible, even after adding the grated cheese. Pop your pizza onto your pizza stone and bake for approx 20 minutes or until golden brown and delicious.